From left, Interim Superintendent Ralph Mayo, Board of Education Chairman Peter Bernstein, new superintendent Toni Jones, and school board member Kathleen Stowe, head of the search committee at Friday’s announcement of the new superintendent at the Havemeyer Building. FAIRFIELD — The announcement on Jan. 18 that Superintendent of Schools Toni Jones would become Greenwich’s new superintendent sparked mixed reactions from both towns, but Fairfield education officials are ready to begin their search for her replacement. Jones, in an email sent to Fairfield parents Tuesday prior to the Board of Education meeting, confirmed her last day with Fairfield schools would be June 30. Jones has served as the superintendent of Fairfield schools since September 2016. The Board of Education in the summer of 2017 unanimously extended her contract to June 2020. Chairman Christine Vitale described the past week as eventful and said the board would commence the search for a new superintendent, a factor that will alter the budget review and discussion. “There will be some budget implications associated with need to conduct a superintendent’s search, which we will be addressing at our meetings this week. The board will waste no time in retaining a search firm and beginning the recruitment process,” Vitale said in an email Monday. Vitale, at the Jan. 22 meeting, said the board is planning to hire a new superintendent by the beginning of the 2019-20 school year and they were reaching out to compile a list of possible candidates to serve as interim superintendents to get things started. Jones said she would assist in the transition phase as Fairfield schools administrators undertake the search for a replacement. As of press time, the budget is scheduled for a vote Thursday night. If approved, it will be passed to other town bodies for review. 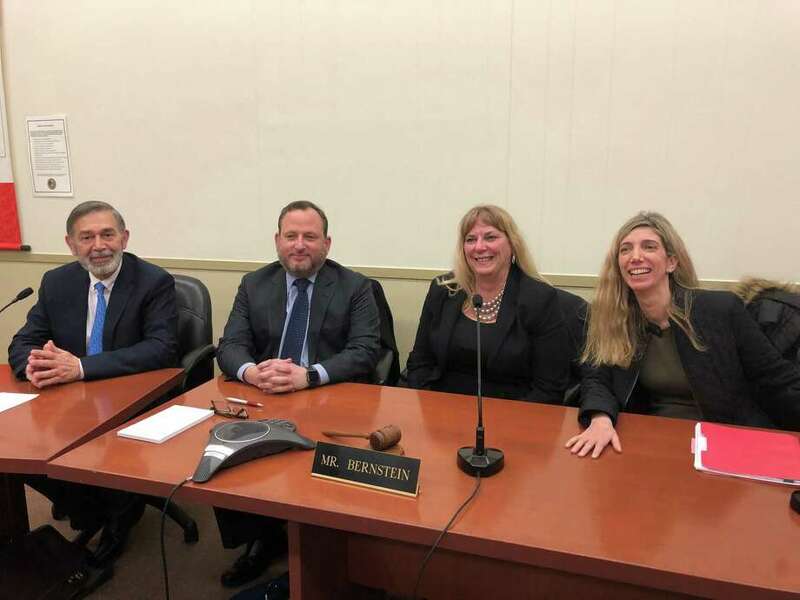 The Greenwich Board of Education announced Jones’ appointment last Friday, with a historic 7-1 vote, the first time a board vote was not unanimous. “We wish you well on your endeavor but for the next five months or so, you’re still ours and we’re looking forward to working together,” Vitale said. Includes previous reporting by Jo Kroeker.